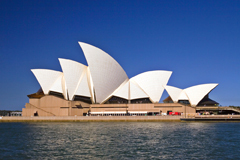 Planned changes to Australian pension schemes will take effect in January 2017. Those affected are pensioners who are asset tested. From 1 January 2017 those receiving or applying for an allowance will have a higher threshold. This could mean 170,000 pensioners will see an $30 a fortnight in their pension pot, 9 in 10 Australian pensioners will be better off with the increase to the increase in asset allowance. The taper rate which is the amount pensions are reduced by over the threshold will increase from $1.5 to $3. Those with more assets for example a couple who own their home, and with assets in excess of $823,000, stand to lose just under $13,000 in pension payments each year. Australia has a three-pillar pension system. The first, public pillar, is composed of a means-tested, tax-financed Age Pension that provides basic benefits. The second pillar forms the backbone of the Australian pension system, and is made up of funded individual pension accounts provided by superannuation funds. The third pillar involves individuals contributing to their superannuation funds or to Retirement Savings Accounts (RSAs).? Australia's state pension system operates on a non-contributory basis and is financed by general tax revenues. The Age Pension provides means-tested benefits for men over 65, but at different ages for women, based on their date of birth. By 2014, however, the age limit will be set at 65 for both men and women. The Age Pension currently pays $670.90 (AUD) for single people and $505.70 (AUD) each for couples, per fortnight. This excludes a possible means-tested Pension Supplement payment, which can pay up to $58.40 (AUD) a fortnight for singles and $88.00 (AUD) a fortnight for couples (combined). In addition to this state pension, the government set up The Future Fund through the Future Fund Act 2006. The fund was created to meet unfunded public sector superannuation liabilities and its finances have come from budget surpluses and the privatisation of Telstra, the telecommunications firm. The Fund held $67.35 billion (AUD) of assets in 2010. The Act states that money may not be withdrawn from the Future Fund until 2020, except for the meeting operating costs or unless the Future Fund's balance exceeds the target asset level as set by the Future Fund Act. Apart from the Military Benefits Superannuation Scheme, most public defined benefit (DB) superannuation schemes are now closed to new members and have been replaced by fully funded accumulation schemes. Australia introduced compulsion in 1992, when it made contribution into the superannuation fund system mandatory for all employees older than 17 and younger than 70 earning more than $450 (AUD) a month. This is a defined contribution (DC) system that requires a minimum contribution to a superannuation fund. Before the compulsory superannuation system was introduced, DB schemes were the more popular form of occupational pension provision. The country has a number of types of superannuation funds including industry-wide funds and retail funds, which are offered to the public and to employers by financial service providers. Employees may make voluntary contributions and employer contributions are subject to an annual cap of $50,000 (AUD). Employee contributions are matched by a factor of 1.5 additional up to $1,000 (AUD) per year by the government. This matching contribution is made for employees earning less than $58,980 (AUD). Employer contributions are tax-deductible up to certain limits, while employee voluntary contributions are entitled to limited tax breaks. Pension payments, too, are entitled to tax breaks, but these are under review. Retirement savings accounts (RSAs) are low-cost pension schemes offered by deposit-taking institutions or life insurance companies. They operate under the same tax rules as superannuation accounts.